Let one dozen elegant pink roses express your emotions in an unmistakable way. These roses will be sure to melt her heart. 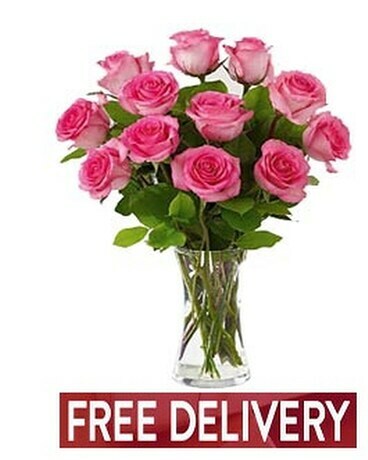 Your roses arrive wrapped with greens and ready for the recipient to arrange in the included classic glass vase.